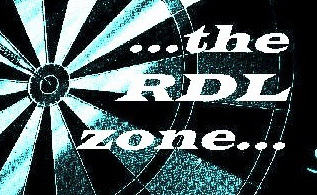 The Raleigh Dart League, Inc. is organized for the purpose of conducting competition between its members. Our current Fall 2018 season will consist of 14 weeks of regular play, followed by three weeks of a single elimination tournament. All regularly scheduled matches will be scheduled at 8pm EST on Wednesday nights for the regular season and 7pm EST on Wednesday nights for the tournament playoffs. The Fall 2018 season will conclude with our End of Season Banquet. All stats, standings, newsletters and contact information for the past Spring 2018 season and prior seasons can be found within this site under Archived Stats. If you have any feedback or questions, please feel free to communicate to our RDL Board. We appreciate any suggestions or comments that will help us provide a better website for our players and our visitors.